Genetically engineered AquaBounty salmon safe, FDA decides. The FDA approved a genetically engineered animal for human consumption. The campaign against it is based on fear, not facts. Does it matter if this salmon is genetically engineered? On Thursday, for the first time, the Food and Drug Administration approved a genetically engineered animal for human consumption. It’s a salmon that grows much faster than other salmon, thanks to an inserted gene. Some environmentalists are assailing the decision. They call the salmon “Frankenfish.” Their objections sound a lot like previous allegations against genetically engineered crops. The allegations against GE crops didn’t stand up, as a Slate investigation showed, and it doesn’t look as though the arguments against GE salmon will stand up, either. Let’s examine them. There were over 250 million wild salmon harvested in Alaska and Puget Sound this year. Why should we put this sustainable resource at risk for the benefit of a few multinational corporations who will, sooner or later, introduce GE salmon into their floating feed lots? 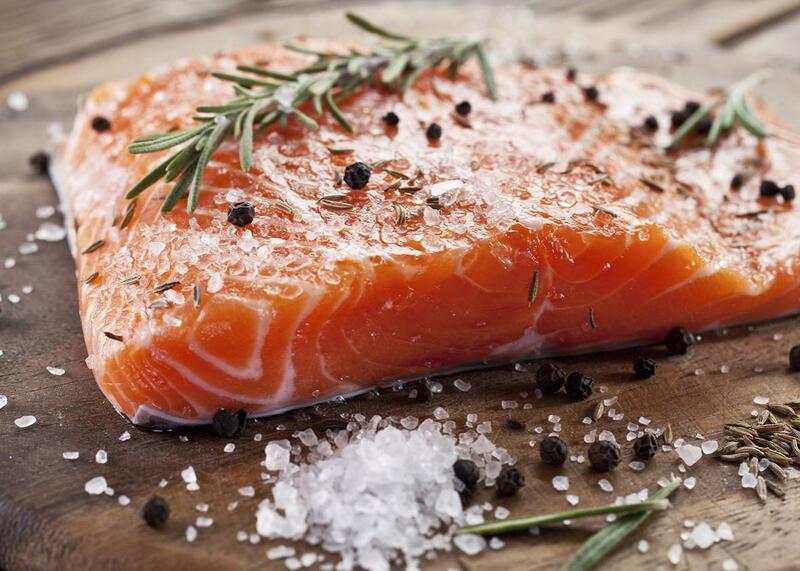 Americans will be eating synthetic salmon, thinking they are receiving the nutritional benefits of wild salmon. The FDA’s statement addresses this concern. It says that under restrictions imposed by the agency, the GE salmon “would not have a significant environmental impact because of the multiple and redundant measures being taken to contain the fish and prevent their escape and establishment in the environment.” The fish are all female and sterile, and they would be grown in landlocked tanks, which would be government-inspected. But it’s also worth noting that the allegation about “a few multinational corporations” (along with the insinuation about “nutritional benefits”) is bogus—the company behind the salmon, AquaBounty, has 21 employees—and that this bogus charge is coming from the salmon fishing industry. Murkowski and her Alaska colleagues are defending that industry. So this isn’t a fight between environmentalists and multinationals. It’s a fight between a well-represented trade lobby and a small innovator. That’s another lesson to take from the debate over GE crops: Look for commercial motives on both sides. A third objection to the salmon is that “people don’t want to eat it.” Friends of the Earth notes that “75 percent of respondents to a recent New York Times poll said they would not eat genetically engineered salmon.” This is an odd argument to hear from people who insist that science, not public opinion, should decide policy on matters such as climate change. To avoid confusion in the marketplace, and ensure the consumer’s right to know, we are asking grocery stores, seafood restaurants, chefs and seafood companies to demonstrate their commitment to sustainably produced seafood and consumer choice by joining our Pledge for GE-Free Seafood, a commitment to not knowingly purchase or sell genetically engineered salmon or other genetically engineered seafood should it come to market. AquaBounty claims that its landlocked water-control system “allows for removal of wastes (sludge) and recycling of greater than 95 percent of the water used.” The company also envisions “land-based facilities close to major metropolitan areas” so that fish can be delivered to market more quickly and efficiently, arriving fresher and with “a carbon footprint that is 23 to 25 times less” than conventional salmon. We shouldn’t accept everything this company says; it’s touting a product, after all. But we should scrutinize the conventional salmon industry just as carefully. What’s so safe or natural about depleting fisheries and flying in salmon from Norway? What’s so noble about insisting that 25 percent more fish be extracted from the ocean to feed your non-GE salmon? And what’s so progressive about suing the FDA to stop the approval of more genetically modified animals, such as disease-fighting mosquitoes or pigs that resist swine fever? Maybe, when self-styled environmentalists and “sustainable” grocery chains team up with salmon farmers and their Republican senators to block a better product, we ought to ask what’s going on. Something smells fishy.